Why study Spanish in South America? Study Spanish with us in South America! Your Spanish will improve faster than you can believe if you’re truly immersed in a Spanish-speaking country and culture. 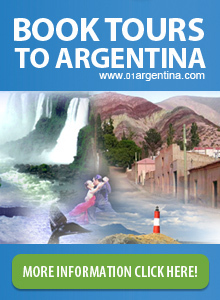 South America is a perfect setting to begin the study of Spanish language and to take Spanish courses. Not only will you be hearing and speaking Spanish every day, but you’ll be close to an amazing amount of inspiring and fascinating travel destinations! You’ll find that the people here in South America are generally warm and friendly as well, so that you’ll always feel comfortable trying out your Spanish and interacting with people here. If you want to have fun and have a great travel experience while learning Spanish, you should definitely consider coming here! At Spanish Uruguay, we offer a range of Spanish courses for all ages and levels, so that the classes will fit your goals and your needs! We also offer you a perfect place to study Spanish in South America, in the country of Uruguay. You can choose to study with us in one of the many beautiful coastal cities of the country (including the capital city Montevideo) – these are places where you’ll not only have fun and learn in your Spanish courses, but also outside of the classroom where you’ll be fascinated by the culture and the landscapes. In order to make your travel experience the best that it can possibly be, we also offer home stays, where you’ll live in the house of an Uruguayan person or family and be practicing your Spanish all the time. We can also offer excursions and organized travel opportunities, so that you’ll see as much as you can doing your stay. Don’t hesitate to ask us for more information, and to find out how we can help you learn this amazing language!